Cuties belong to Mommas Gone City. There’s something about special moments a New Yorker experiences in NYC that allows us to come back down from the frustrations of the daily rigmarole, to remember the simple things, like why we live in this amazing city. I love moments like these so so much. Everyone else in this country, and around the world for that matter, think New Yorker’s are a bunch of rude unkind people but you know what?! I beg to differ…aggressively. Yes we may always be in a rush and have little patience, but I see a little bit of kindness everyday. And it’s those moments of kindness that really define us; to be able to push aside impatience and frustration to help someone out, for example. 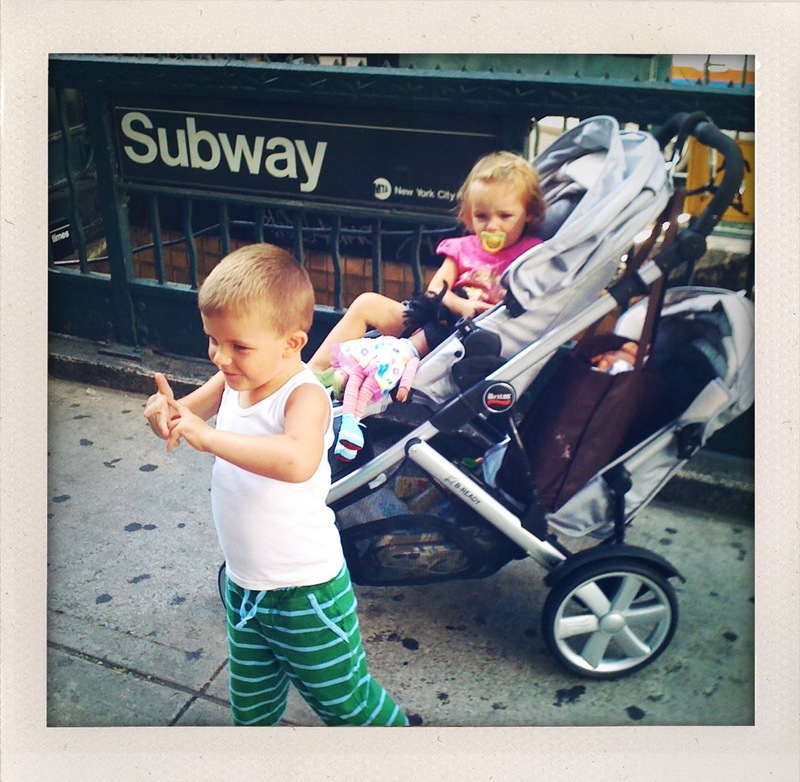 Take for instance the simple act of helping a Mom go up or down Subway stairs with a stroller. Or Jesus… how about when she has a stroller AND a toddler? I’d just gotten off the downtown 1 train at 125th this morning for yet another day at my awesome job – totally not tired at all. I digress… this isn’t about me. Moms with strollers and kids know the dilly; they usually wait for everyone to go down so they can start the dreaded trek down the stairs with the stroller in tow balancing on their hip. I mean… this woman didn’t just have this kid or anything… it’s fine. Any who, I seemed be the only straggler coming from the end of the platform and Mom didn’t want to wait for me. As I approached behind her, I was totally about to offer her my strong arms when the stranger in front of her offered first. Two people, ready to help without hesitation. That’s a selfless good deed. But really… how often do you see that happen? Most moms wait at the side for everyone to go by because they know people will be annoyed if they don’t. In most other major cities in this country, and I’d argue around the world, people are much more likely to lend a hand before a New Yorker will. Random acts of kindness are not only random but also rare here. So, I’m sorry, but I’m going to disagree… pretty aggressively as well. New York earned its reputation as rude. Having said that, I’m not saying there aren’t some really fantastic, giving, selfless people here. They are just greatly outnumbered. I see it often Kate! But I also think I look for it more because I’m a happier person than most. Valid argument miss!